Bread & Butter’s former space, the Airport Tempelhof, now under consideration as a location to house incoming refugees in Berlin. Zalando, the online fashion retailer that bought Bread & Butter earlier this year, was planning a fashion festival-like spin-off of the show in January during the Berlin Fashion Week, but do to the refugee crisis plaquing the city of Berlin, has had to change courses and consider humanitarian solutions. 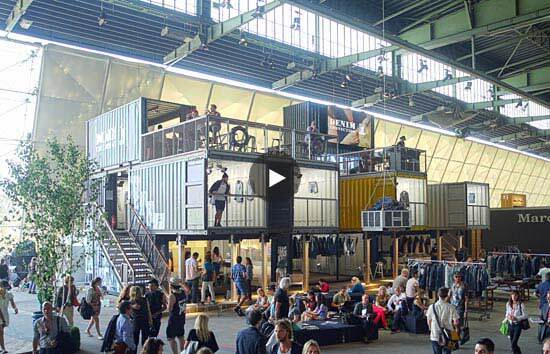 Last week, according to Sportswear International, Zalando announced that it couldn’t host the festival because the Berlin Senate is reviewing areas of city-owned buildings as possible locations for refugees. Berlin’s Tempelhof airport, known for its unique features when Bread & Butter hosted its trade show there, is one of the potential locations. While it is still under review if Tempelhof is going to be used or not, Zalando decided to change courses completely and is creating a charity event instead. According to Zalando, “As a Berlin-based but also an international company we want to take over responsibility. Following the example of the Band Aid events, we want to work together with international artists and host an event to raise funds for the local refugees,” explained a Zalando spokesman. It will be interesting to see how many organizations and brands across Europe will be changing their courses to help with humanitarian concerns as the difficulties with the refugee crisis and instability continues to grow across regions of Europe, Africa, and the Middle East.